I've said it before and I'll say it again: I honestly do not know how I'm going to accept that Parks and Recreation is ending after season 7 on NBC. I definitely haven't deeply processed this information in my mind, but I know I'm going to have to soon — especially with season 7 of the series set to premiere very, very soon, as in this month on January 13. It's a show that's brought so much joy, happiness, catchphrases, and laughter! It deserves to go on to season 100, if possible! But, sadly, human beings with careers and a life make this show, so, like all things, it must end at some point. At the very least, we do still have all of season 7 (which will consist of 13 hour-long episodes instead of the standard 22 half-hour episodes) to look forward to, and, based off of the various promos, clips, and spoilers that NBC has already released about the new episodes, it looks like it's going to be just as amazing as seasons 1 to 6 have been. But, really, can we ever expect any less from this glorious show? The episodes will be set in 2017, reflecting season 6's cliffhanger time jump — but we will get flashbacks to 2015, so don't worry about gaps in the story. Chris and Ann will return at some point (THANK GOD) so don't count them out! Tom reunites with his ex-girlfriend Lucy at some point — Natalie Morales has been confirmed to be returning to the role. There are a lot of great guest stars, but the final season will be about the core cast, as it should be. Andy has a martial arts television show, which is SO GOOD. Jerry is now called Terry, which still isn't his real name. April is still the best, but that one is obvious because she's always the best. 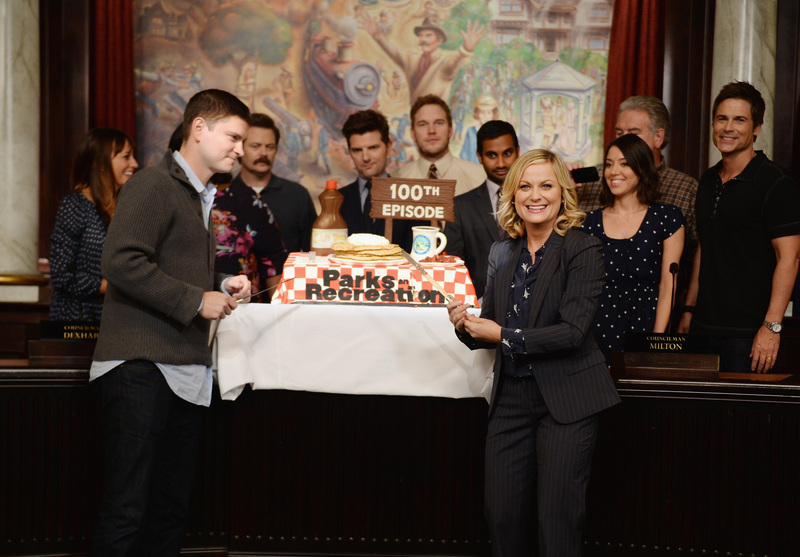 Remember, season 7 of Parks and Recreation will premiere on NBC on Jan. 13.